Do You Support Freedom of Speech? Freedom of the Press? Then……. 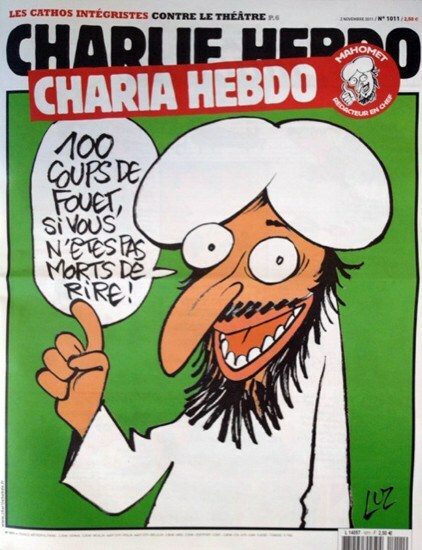 In November, 2011 the offices of Charlie Hebdo in Paris were firebombed on the day the publication was scheduled to publish this cartoon. While you and I may have no desire to insult Muslims or the Prophet Mohamed, if you believe in freedom of speech and freedom the press please copy and duplicate this cartoon on social media with the caption, I WILL NOT LET YOU SILENCE ME!